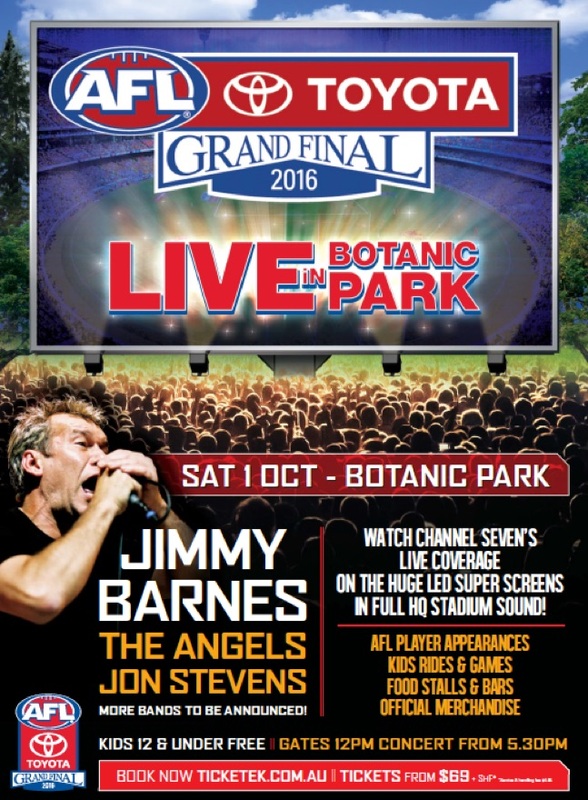 The countdown is on to the 2016 Toyota AFL Grand Final, and the only place to be in Adelaide on the 1st of October, is Botanic Park. I’ll be rocking out with my mates, The Angels, Jon Stevens, Ross Wilson and my brother, Swanee. There’ll be loads of delicious food stalls and bars plus official merchandise for sale. Bring a camping chair and relax in Botanic Park, or book a table of 10 with your mates, the choice is yours!